Duff has been with Tax Help since 2001. 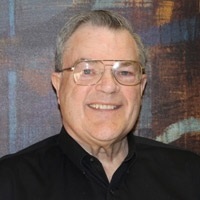 He holds both BA and law degrees from Creighton University and spent his career working for IRS, then practicing law and finally working 28 years in the estate and trust business. After retiring from the trust department, he joined us for his next career. He is a tax preparer and handles financial services. He holds securities licenses and is also a Certified Financial Planner. In addition to working at Tax Help, Duff practices estate planning law.